They really wouldn't sell it to you? Lame! LOL, glad you were able to order it online. It goes so great with that skirt. Enjoy soaking up the sun! surely amazing, I really like this garment, so so tendy and unique! 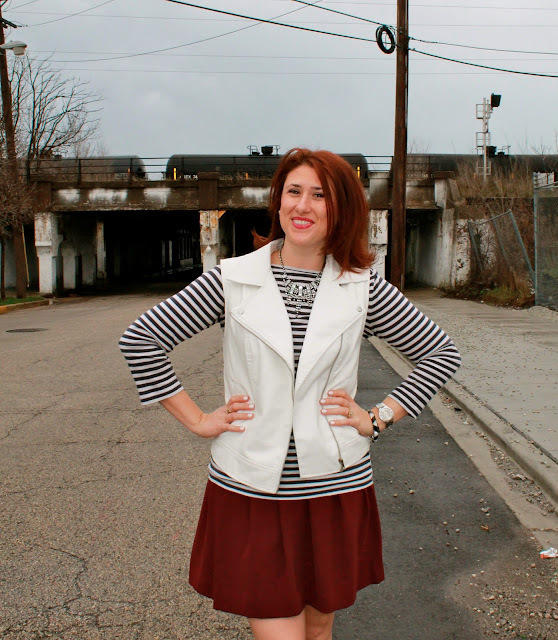 LOVE LOVE LOVE the stripes with the leather moto vest!! !